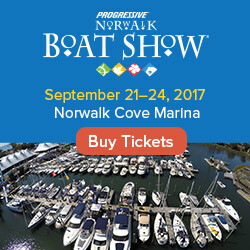 If you live in Florida, you have no less than THREE boat shows to choose from. 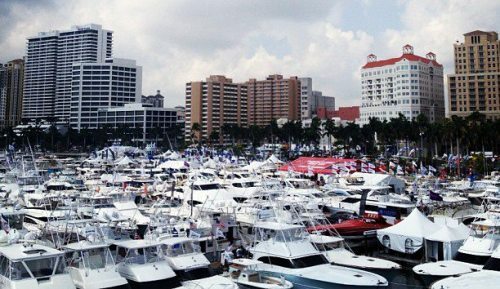 Florida's 28th annual Palm Beach International Boat Show, March 21 - 24, 2013, claims to be one of the top five boat shows in the country - featuring more than $1.2 billion worth of boats, yachts and accessories from the world’s leading marine manufacturers. Meanwhile, up near Orlando, the Sunnyland Antique Boat Festival is happening this weekend at Wooton Park on Lake Dora in Tavares, Florida. And in between those two, there is the Vero Beach Spring Boat Show at Riverside Park in, you guessed it, Vero Beach, Florida. The South West International Boat Show is going on all weekend at South Shore Harbour Marina, Bay Area Houston, Texas. The Northwest Sportshow is happening now at the Minneapolis Convention Center, Minneapolis, Minnesota. Lastly, there are two boat shows in upstate New York, one not far from Albany, and another further north up 87. First, the Great Upstate Boat Show is going on through Sunday at the Adirondack Sports Complex (The Dome) in Queensbury, New York - not far from Saratoga. Keep driving north and you may eventually run into the Champlain Valley RV and Boat Show at the Crete Memorial Civic Center in Plattsburgh, NY. 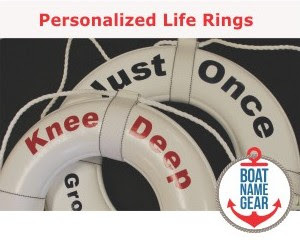 For more info on these and other events this weekend, check out our boat show calendar!